During top hole drilling of subsea wells, a significant amount of drill cuttings, water-based mud and cement are removed and transported to the seabed. To successfully accommodate the vast volumes of debris produced during drilling, a cuttings transportation system (CTS) is required. Offshore drilling rigs host all types of equipment needed to conduct well operations, restricting available space onboard. Conventional CTS systems require both topside space and a dedicated crew to handle the system. CTS features a large power link between topside and subsea infrastructure, which may restrict the drilling rig during operations. Also, to facilitate drill cuttings removal, a large subsea unit has to be installed. By introducing RCTS, both topside and subsea footprint is minimized while the ROV crew are performing operations. Optimal visual verification during operation. 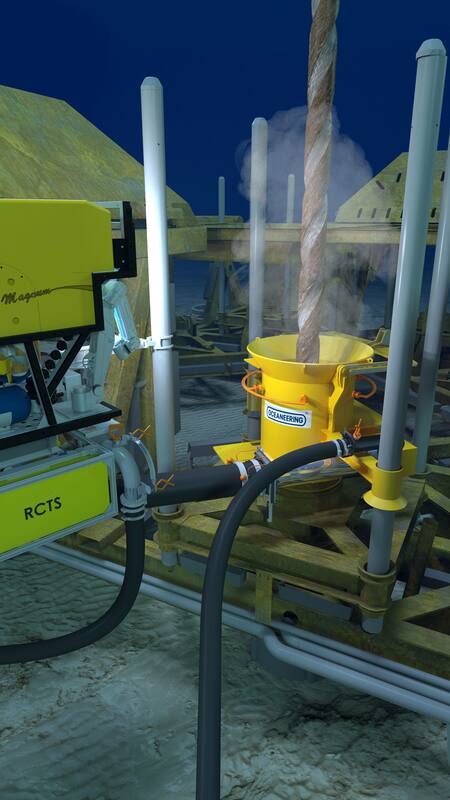 The RCTS is a highly modular system, where the main skid unit is attached underneath the ROV through a quick-connect mounting mechanism, enabling swift and flexible skid handling. The ROV skid houses a high capacity water pump that powers a customized suction module (SMO) or a separate, neutrally buoyant, standalone ejector. The ejector suction capacity can be continuously adjusted to avoid unwanted washout of structure foundation. A key Oceaneering innovation is the high voltage switch inside the skid unit, enabling the ROV to power the RCTS by transferring power from one of its motors. The ROV remains operable during RCTS operations, and the skid is only powered once the ROV stays stationary. Installation of standalone ejector on template slip-on flange interface. In November 2016, Oceaneering was awarded the first contract for cuttings removal at Johan Sverdrup. An extensive design, engineering and test period commenced, resulting in a complete working system by June the following year. A successful drilling campaign at Johan Sverdrup followed, resulting in significant cost savings for the client. RCTS has also moved into deeper waters, as Oceaneering enabled cuttings removal on the Aasta Hansteen field, which lies 1300 m below sea level. The operation proved the outstanding adaptability of the RCTS system, as the rig consisted of two derricks and needed two parallel systems to enable cost-efficient project execution. 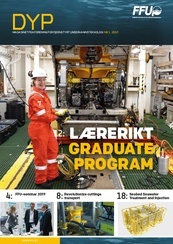 Oceaneering provided two ROVs and two RCTS systems, which led to reduced rig time and major cost savings. Oceaneering`s new quick-connector for large bores in action. The highly versatile RCTS combines ROV services and state-of-the-art drill cuttings removal technology to provide an integrated solution, eliminating the need for additional onboard systems. By adopting Oceaneering’s ultra-compact RCTS system, the end user receive the same power as a traditional CTS system, and fewer personnel is required onboard. The ROV can also pre-install the standalone ejector to the template slip-on flange interface and pre-lay the exhaust hose, thereby minimizing cost by optimizing rig time. As Oceaneering delivers a premier fleet of ROVs, a corporate long-term strategy has been developed to maximize ROV system potential. RCTS is one of the latest Oceaneering innovations focusing on doing more with an ROV to achieve operational excellence.